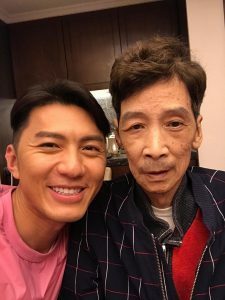 Last May, Benjamin Yuen’s (袁偉豪) father, a policeman affectionately referred to as Tai Gor, passed away due to nasopharyngeal cancer. 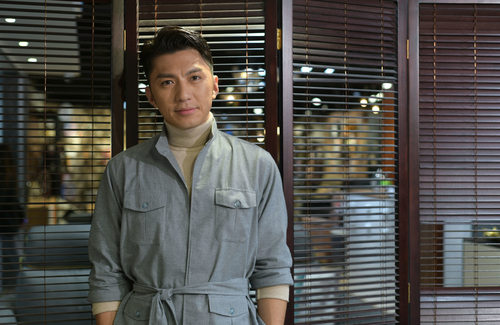 During that time, Benjamin was filming TVB drama The Defected <鐵探>, portraying a cop with PTSD, who finally died of cancer. Not only did he lose 20 pounds to play the character, but he also trudged on following the death of his father. “Now that I’ve recovered from it, I remember that I never had time to linger on my dad’s passing because I still had to work,” Benjamin recalled having to film a difficult scene after returning to work. When he received the notice for the scene he was going to shoot, he could’ve asked for a postponement but decided against it, as he did not want to affect the filming progress, so he put his all into the performance. The scene required Benjamin and his real-life girlfriend Bowie Cheung (張寶兒) to recognize a corpse in the mortuary. “Everything was too similar; even recognizing the corpse was exactly the same. I had to lift up the cloth, someone was lying down and he was also a policeman. At the time, Dickson Yu (余德丞) played the corpse. Everyone remembered that he was admitted to the hospital because he fell into a coma while playing ball. The whole thing felt very subtle,” Benjamin shared. Now, whenever Benjamin misses his dad, he will look at his photos or go online to look at the pieces he’s written for Tai Gor. “At the time, I wanted to have a commemoration of my father. I hope that I can look at it every day and remember my feelings at the time, and recall his last days, what we talked about. Although it’s simple, but it’s very precious,” Benjamin said.